One of Australia's arachnids. The Sydney Funnel-Web spider (Atrax robustus) is known for highly toxic and fast acting venom. 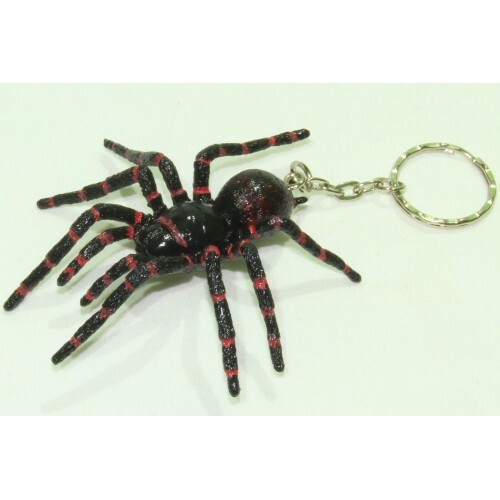 Novelty small replica model of a Sydney Funnel-web spider on a key chain. Warning: Chocking Hazard - Small Parts - Suitable for children 4+ years. Huntsman spiders are widely distributed through out Australia. They live under bark on dead trees, u..
A long sting-bearing tail and a pair of pincers distinguishes the scorpion. They range in size from ..